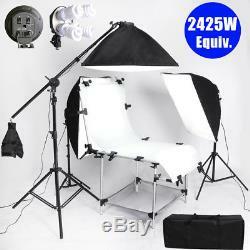 Photo Studio Continuous Lighting Kit Softbox Tent 2425W Daylight Shooting Table. As a web retailers, you must find out that processing pictures for product advertisements can be time consuming and overwhelming. Shave hours from your tedious posting process. 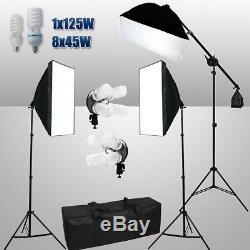 Take advantage of this advanced 2425 watts continuous lighting kit with shooting table system! 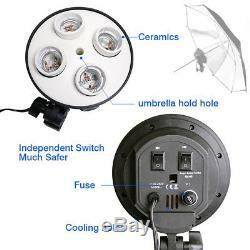 This continuous light kit is designed for DSLR / SLR cameras as well as video cameras and digital video production. 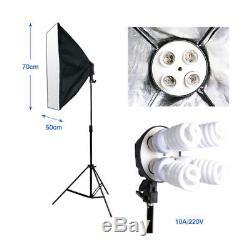 This product is excellent for key or soft lights for any scene especially in video photography. The kit is light weight, which makes it ideal for simple and fast loading, unloading, and setting up for on and off site photo shoots. Show your products in its'best light', sell your items for a good price, sell your items faster! 8x 45W / 5500K Photo Light Bulbs. 1x 125W / 5500K Photo Light Bulbs. 1x 50cmx70cm EZ Softbox with AC Light Holder. 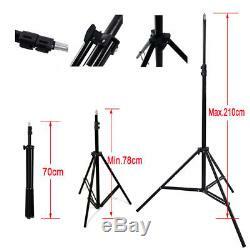 3x Premium 210cm Light Stands. 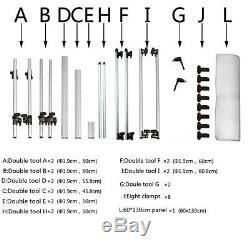 1x 142cm Boom Arm with Swival. 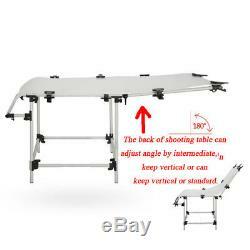 1x 130cmx60cm Non-reflective Shooting Table. REAL NON-REFLECTIVE and NON-CREASING translucent plexiglass. Soften light for reducing overexposure and hot spots. 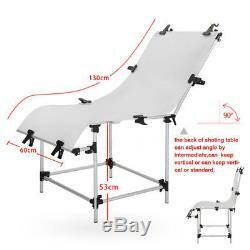 The whole table top dimensions: 130cm L x 60cm W. Easily cleaned and conveniently stored. Height is adjustable from 78cm to 210cm. 1/4 screw tip on the stem. Max load of 7 lbs. Folds up quickly and easily. 45W/125W 5500K Daylight Lighting Bulb. Average Life: 12,000 Hours. Kelvin Colour Temperature: 5500K (Closest equivalent to natural light which prevents colour abberration). 8x 45W Approximate Incandescent Equivalent: 225 Watt, total output is 1800 Watt. 1x 125W Approximate Incandescent Equivalent: 625 Watt, total output is 2425 Watt. CRI (Color Rendering Index) > 84. UL listed, Energy Star compliant. Boom arm extends from 76cm to 142cm. 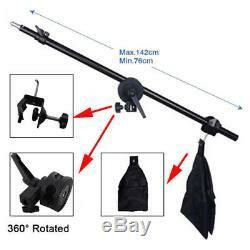 Quick release locks makes adjusting the height of the stand and the length of the boom arm simple and quick. Finish on the stand is black anodized aluminum. High Quality 4 Light Holder. Operate 4 Bulbs separately to control light strem using 2 On/Off switch buttons located on the back. The head acts as a speedring for the dedicated softbox. Soften light intense thrugh internal white cover and soft box. Built-in control handle to protect you from hot light body during operation. Operated with 4 Day-light Studio Light Bulbs (each holder - Total 4 Bulbs). Studio Ultimate Soften Light Soft Box. Made of high quality nylon. 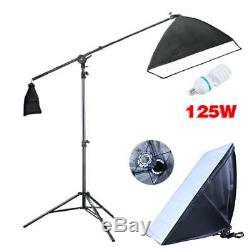 Size: 50cmx70cm soft box (W x H). Ultimate soften light stream and remove shadow to make perfect shooting. Silver Internal Face: Minimize Light Loss & Maximize Light Spread. 2 Levels Light Control Available. Soft Box + External White Cover. It connects to the speed ring that is built into the light head. 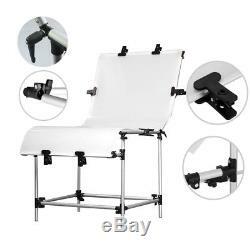 Cover front soft box and spread light out evenly. Assembled by Easy Set-up Velcro. Rectangle Quick Setup Softbox with AC Socket. Quick set-up design makes shooting a breeze. Size: 50cm x 70cm large soft box. Code & AU Plug included. Studio Exclusive Premium Carry Case. Custom Designed for our Photography Studio Softbox Light Kit. All-in-One Bag and Move your Studio. Durability: Made of High Quality Material. Durable Premium 600D Oxford Nylon. Heavy Duty: Support up to 80 Lbs. 1 Items are dispatched within 48 hours(except weekends and holidays). With the exception of opened muslin and used strobe lights. Return order must be in the same condition as received. Thank you for giving us the chance to serve you. We're striving to provide the most attentive service to our customers. If you are satisfied with our product and service, please leave us. Feedback as soon as you receive your order. Give us one chance to get problem solved Friendly. The item "Photo Studio Continuous Lighting Kit Softbox Tent 2425W Daylight Shooting Table" is in sale since Monday, August 6, 2018. 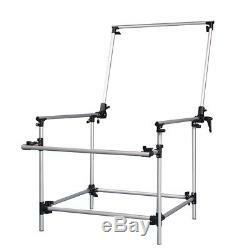 This item is in the category "Cameras & Photography\Lighting & Studio\Shooting Tables & Light Tents". The seller is "alwaysdeal4u" and is located in Portsmouth. This item can be shipped to United Kingdom.